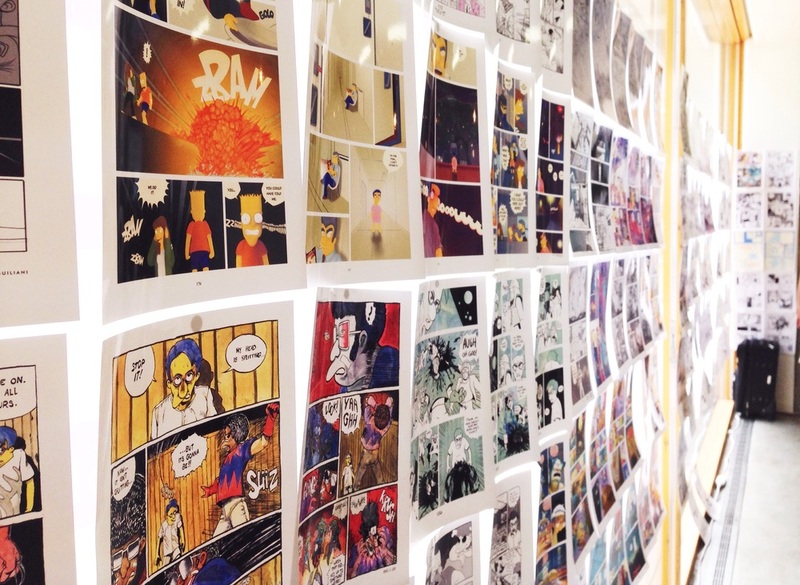 As summer hits and temperatures sky rocket in Tokyo, Comic Art Tokyo made its debut at 3331 Chiyoda, an arts facility converted from an old school building, last weekend on 31st July. 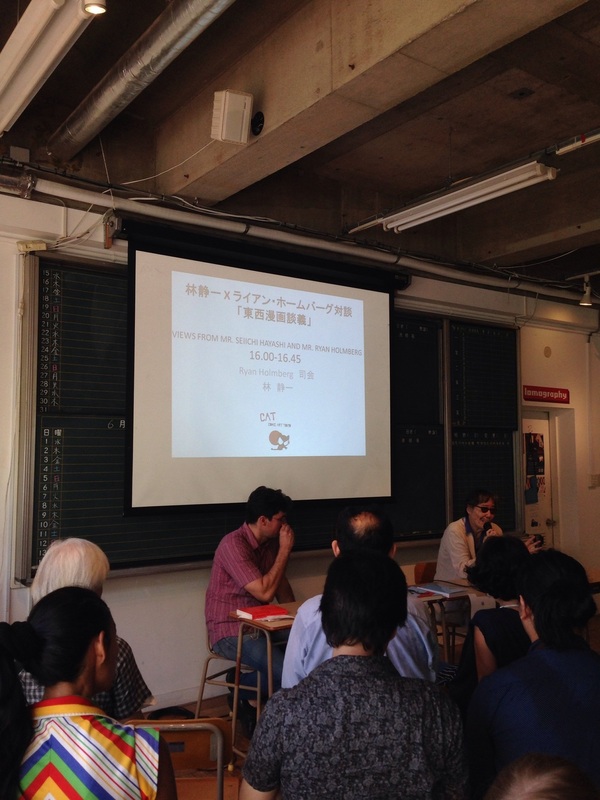 It is a one-day festival in celebration of the comic, illustration and manga culture of Japan. There were many booths of artists that lean towards manga and comic and the entire hall was stuffy and warm like a summer's day school camp, with everyone sharing and spreading their love for what they do. 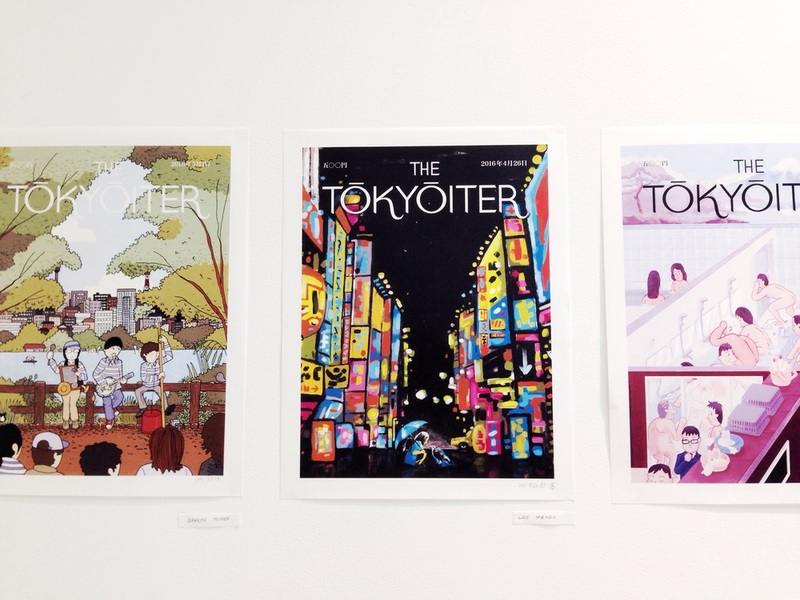 One of the many highlights is the display of wonderfully illustrated covers of Tokyoiter, an extension of the New Yorker. The organisers of Pausedraw, Adrian Hogan & Luis Mendo held a mini Pausedraw at one of the rooms, and I had the opportunity to play around drawing comics with fellow participants for a good 45 mins. Comic strip drawing is new to me and it is always exciting to try something new! Each participant will draw up a specific number of columns, and draw up a scene in the first cell, passing around the sketchbook to the rest to complete. It's quite like musical chairs on pen & paper! A donut comic strip on donuts that goes on an infinite loop! Interesting to see how the other participants continued my story of frying donuts. How my melting ice-cream got saved by a hero leaf! Was good fun and I think the Organisers did a brilliant job though the venue was a little too warm and packed. Looking forward to the next one!